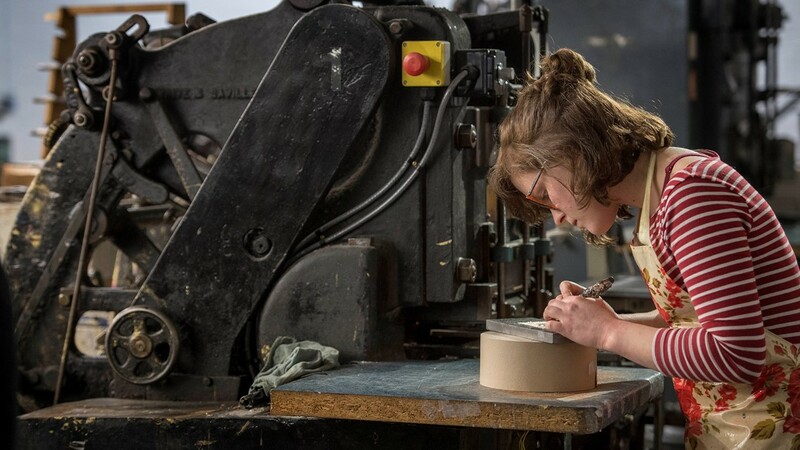 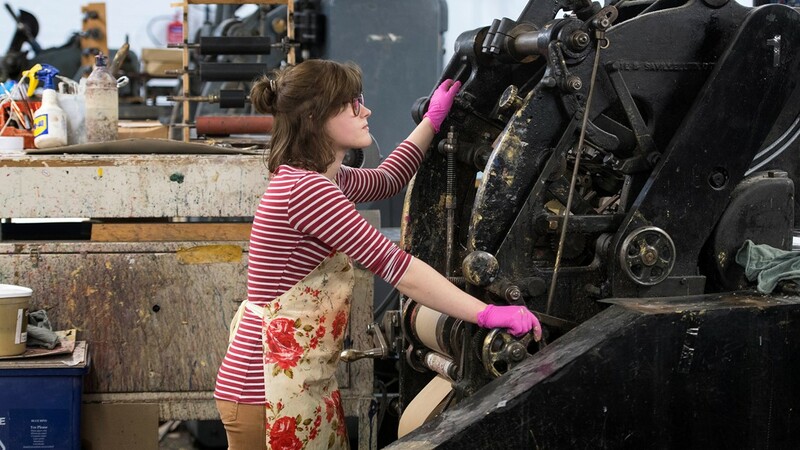 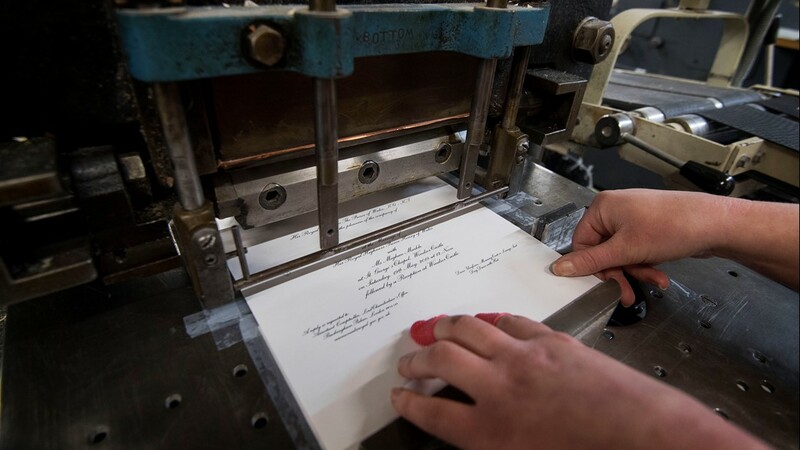 Lottie Small uses the die stamping press at the workshop of Barnard and Westwood who are printing the invitations for Prince Harry and Meghan Markle's wedding on March 22, 2018 in London, England. 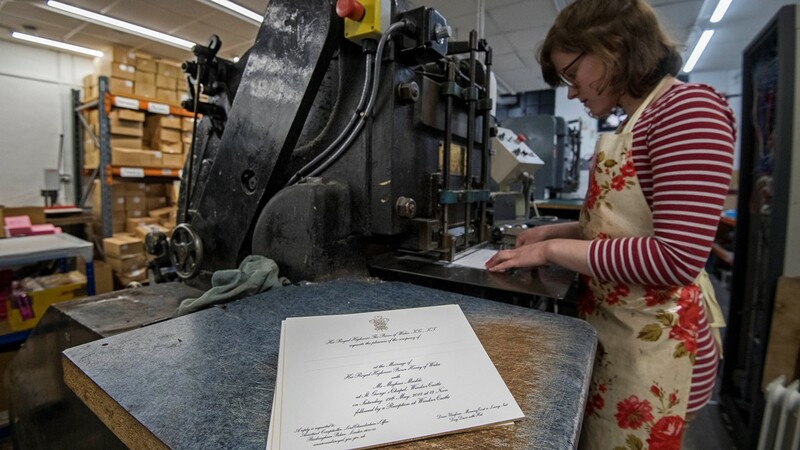 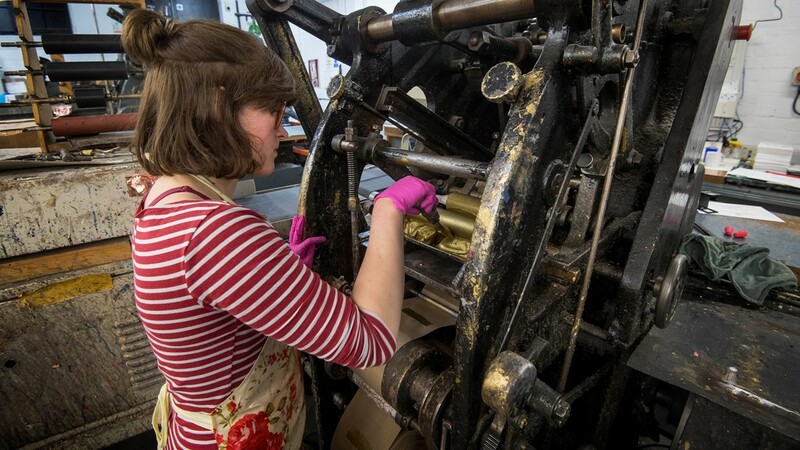 Lottie Small adds gold ink to the die stamping press at the workshop of Barnard and Westwood who are printing the invitations for Prince Harry and Meghan Markle's wedding on March 22, 2018 in London, England. 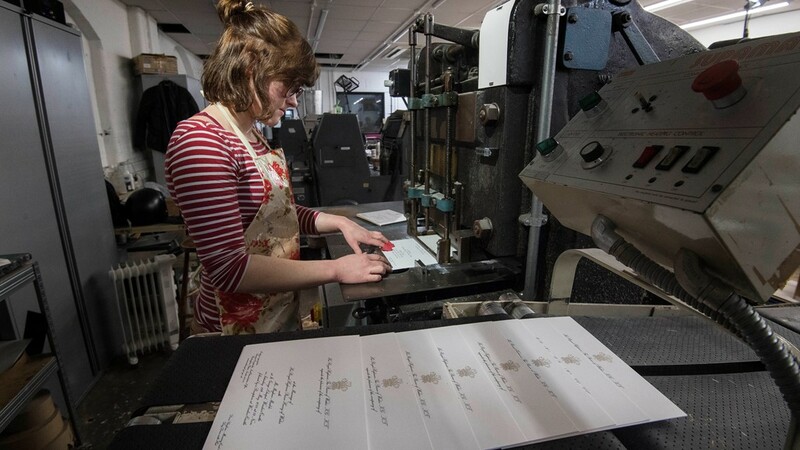 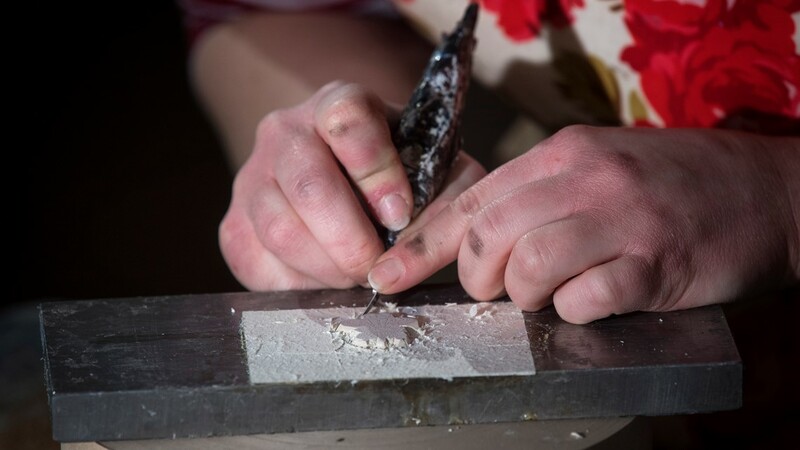 Lottie Small cuts the crests being used on the invitations at the workshop of Barnard and Westwood printing the invites for Prince Harry and Meghan Markle's wedding on March 22, 2018 in London, England. 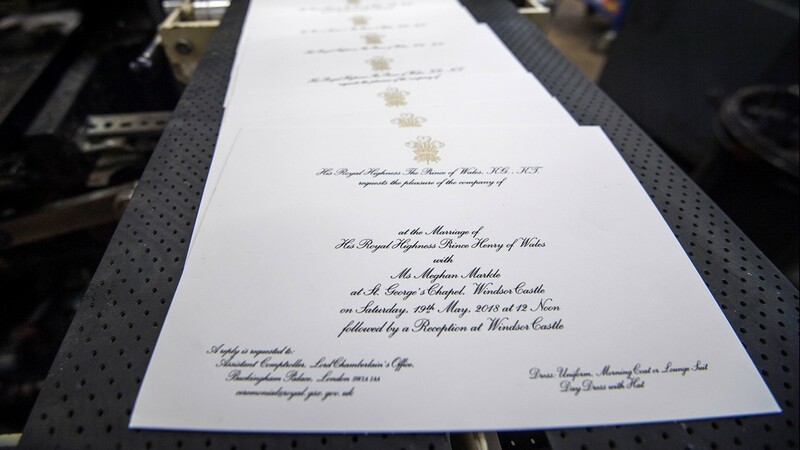 LONDON, ENGLAND - MARCH 22: Hands hold invitations just printed at the workshop of Barnard and Westwood for Prince Harry and Meghan Markle's wedding on March 22, 2018 in London, England. 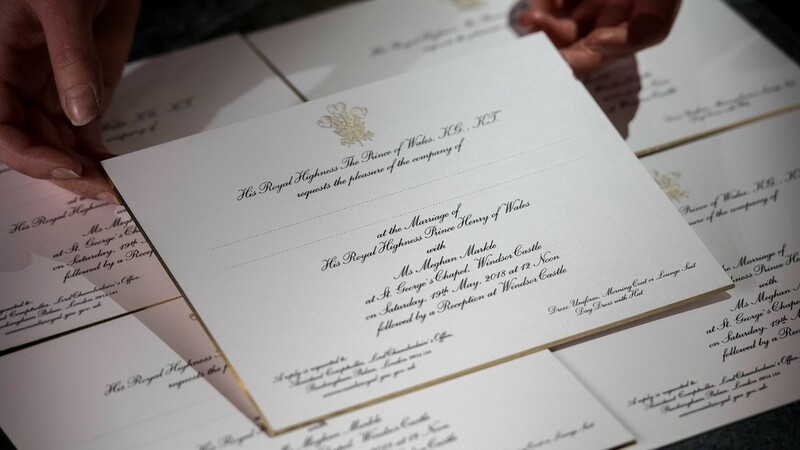 Invitations are printed at the workshop of Barnard and Westwood for Prince Harry and Meghan Markle's wedding on March 22, 2018 in London, England. 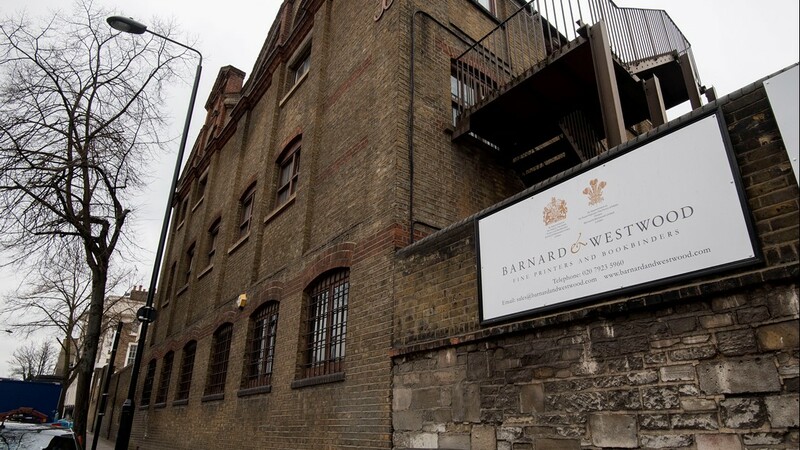 LONDON, ENGLAND - MARCH 22: A sign marks the office and workshop of Barnard and Westwood who are printing the invitations for Prince Harry and Meghan Markle's wedding on March 22, 2018 in London, England.